This post was written in partnership with Walmart, who provided all the products for review. As always, all opinions are my own. The Holiday Season is my favorite time of year because it is full of time spent with loved ones, delicious treats and shopping for gifts! 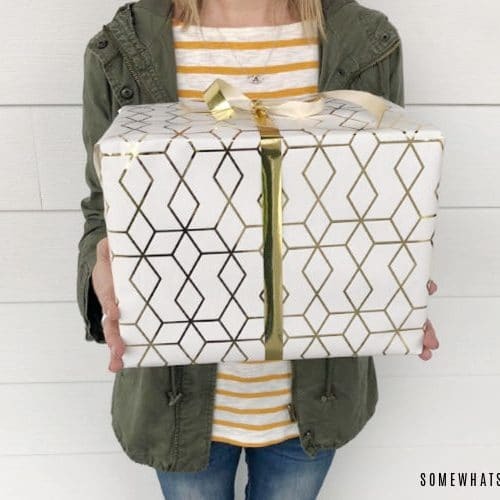 Whether you’re looking for ideas that are practical, fun, trendy or classic, these gifts are perfectly thoughtful and sure to make every spirit bright this holiday season. Here are some of my favorite items that are perfect for all of the different people on your gift list. 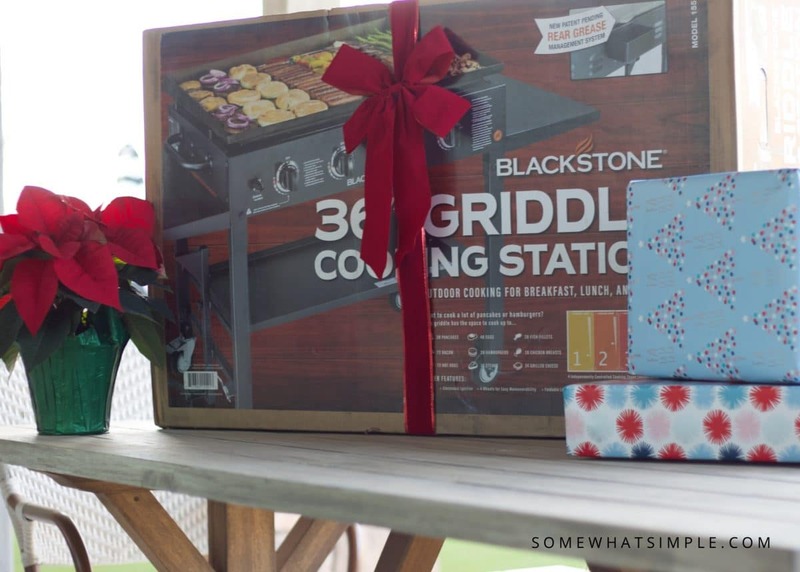 Blackstone Griddle Cooking Station – My husband loves to barbecue all year long and this griddle will knock his socks off! What I love most about this cook station is how versatile it is! With the cook top being three feet wide, there’s plenty of room to cook for any occasion. Do you want to make a delicious breakfast for the family? Not a problem. There’s room for 28 pancakes, 72 slices of bacon or 48 eggs! How about a weekend barbecue with family and friends? This griddle can handle that too. You can cook 72 hot dogs or 28 hamburgers at once, so feeding everyone quickly won’t be a problem. And when you’re all done, the cook top comes off easily, so clean up is a breeze! 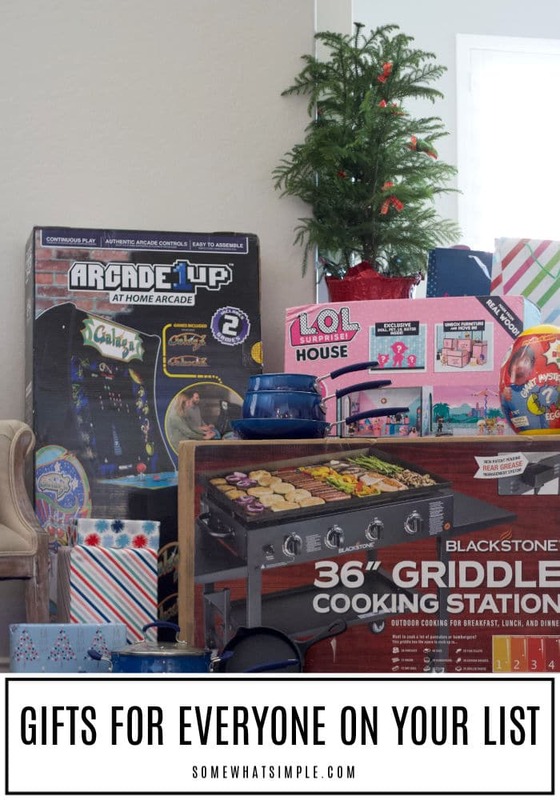 This cooking station is the perfect gift idea for Dad! 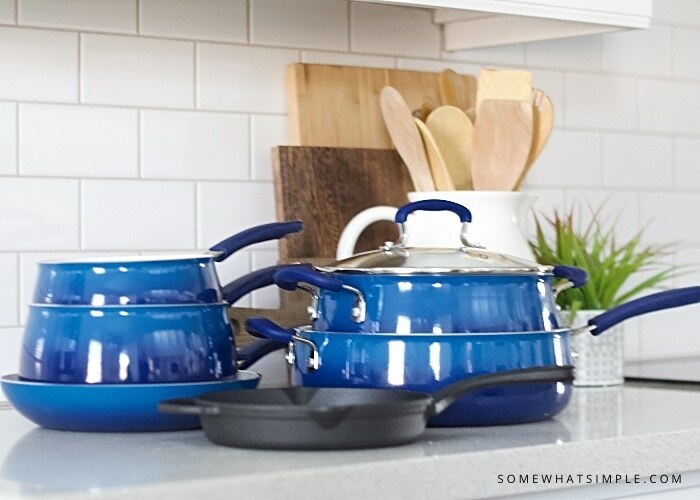 The Pioneer Woman 10 Piece Ceramic Cookware Set – One of my favorite ways to add color in my kitchen is with my cookware and utensils. Seriously, how gorgeous is this cookware set? This Pioneer Woman cookware set is an excellent gift for mom and it is found EXCLUSIVELY at Walmart! It literally has everything mom could ever need to cook one of her famous family recipes. 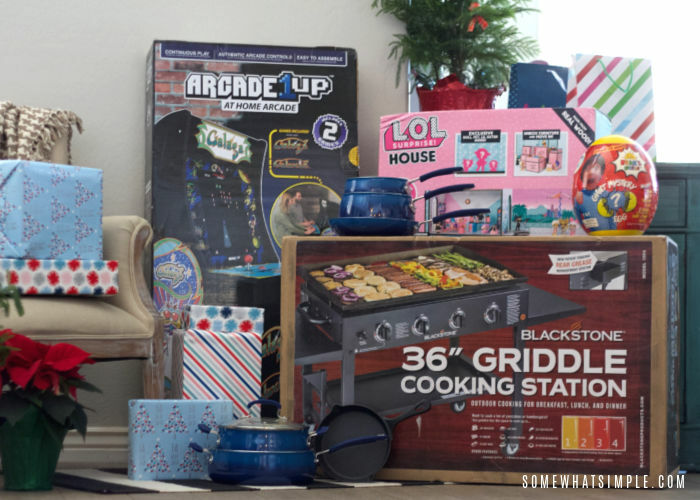 From pots and sauce pans, to the cast iron skillet, this set has it all! Plus, they have a non-stick interior so washing them when you’re done will be extra easy! This is a quality cookware set at such an affordable price. Best of all, these pots and pans come in a variety of vibrant color options and they are all gorgeous! I chose the Cobalt Blue set for my kitchen and I love them so much! 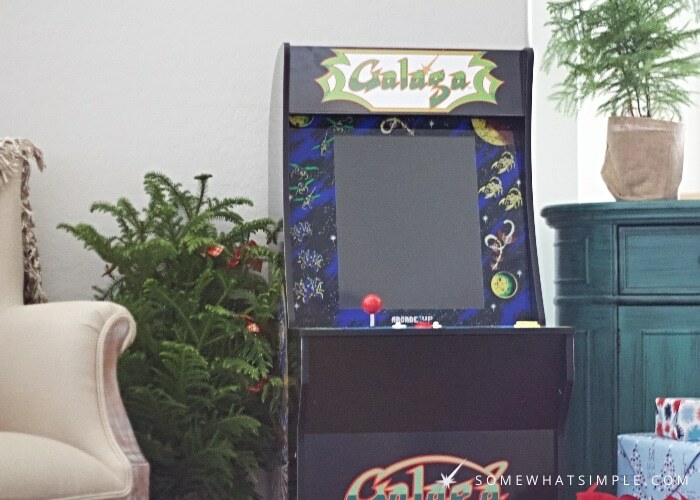 Arcade 1Up Galaga Machine (Walmart Exclusive) – This retro arcade game is a must-have this holiday season. Growing up, my Dad would take us to the arcade all the time and we’d play on these types of machines for hours. We would have friendly competitions to see who could have the highest score, and if I was able to beat him, we would stop and get one of my favorite treats on the way home. 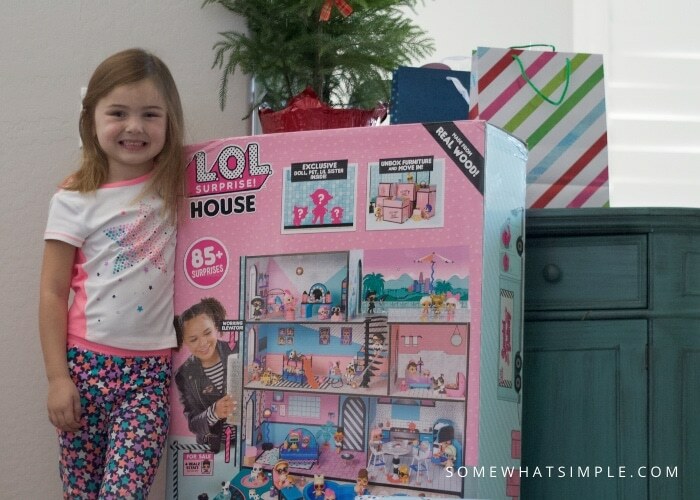 L.O.L Surprise House – If your little girl is anything like mine, you can’t walk through the toy aisle without her screaming when she sees the L.O.L. Surprise section. When I saw this L.O.L Surprise House, I knew this would make the perfect gift for any little girl. Made from real wood, this is a quality playhouse that will provide hours of fun! I couldn’t believe all of the things that came in this set. To start, there are 6 rooms on three different levels and there’s even a working elevator. Where were this amazing things when I was a little girl?!?! After you set up the house, you of course need to move all of your L.O.L. Surprise! dolls in. To help with that, there’s a moving truck with boxes that are filled with exclusive surprises inside. Overall, there are over 85 surprises included in this set for your little one to open. 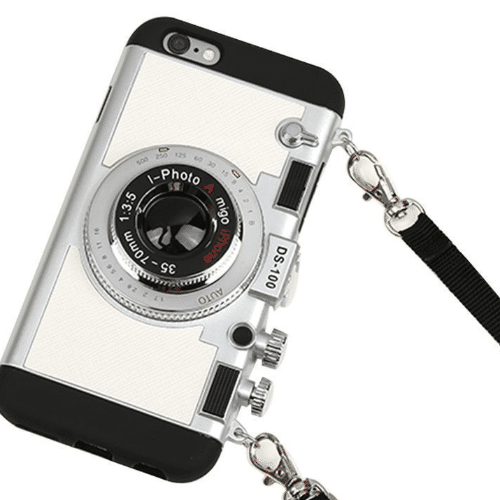 That’s over 85 ear-to-ear grins on Christmas morning on this one gift alone! 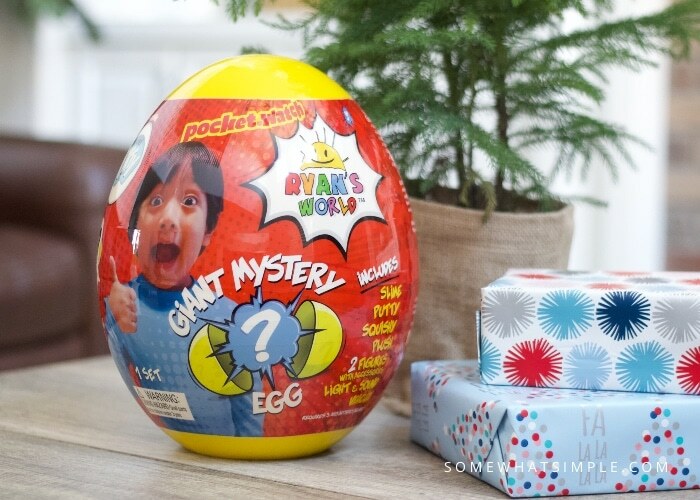 Ryan’s World Giant Mystery Egg – My youngest son loves watching Ryan on YouTube, so this gift is perfect for him! Let’s be honest, who doesn’t love opening something that’s a little mysterious? Each giant egg is filled with several mystery packs that contain some of Ryan’s favorite exclusive toys, figures and other surprises. There are so many potential options, no two eggs are the same. This giant mystery egg is perfect for the Ryan’s World fan in your family. 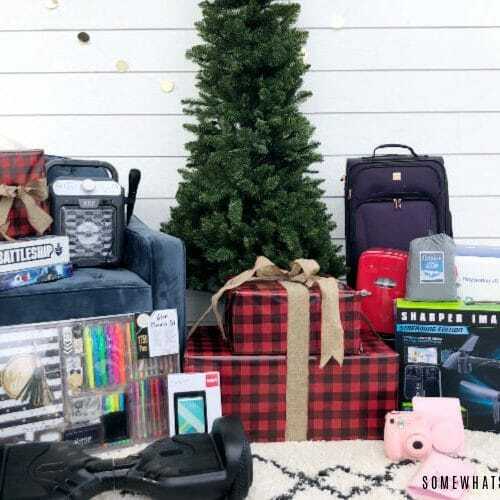 Seriously, there are so many gift ideas for everyone on your list at Walmart! What’s the one gift on your list you are most excited about? Let me know in the comments! ** Order online by 4 pm for free same day Pickup in store on eligible items. Order by 2pm local time on 12/23 for Pickup on Christmas Eve.